How do you create one of the world’s largest brands without spending a penny on marketing? Admitted – you don’t. But if you take a look at some of the world’s largest brands, you sometimes come across marketing budgets so small, that you have to wonder. One of these brands is Ferrari. The legendary Italian car manufacturer’s history is shrouded with glamour and myths. It is actually one of these myths, that defines the essence of how Ferrari administers their brand. To put it briefly, you can draw up two key issues of Ferrari: Design and way of life. You will always be able to recognize a Ferrari on one of the four typical colours, red, yellow, black, or silver. The red colour is of course the “right one”. Additionally the design is characterised by the low profile of a sports car, the elegant sweeping curves, and the fabled logo with the rearing stallion. You never be in doubt when you see a Ferrari. The way of life, the stories about the races with proud traditions and mane playboys, is highly connected with a love for mechanics, pace and car races. A passion, which was a big part of the deceased founder of the company, Enzo Ferrari. Even though he wasn’t an engineer, or well educated in any way, actually he was a mechanic at Alfa Romeo before he founded his own company. 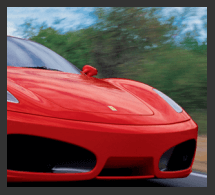 His dream was to build amazing racing cars and with his persistence this was the main reason that maybe the best known sports car brand has reached this position. But what is your PR going to be like, when you’re sitting on the shoulders of a giant, and moreover never have used money on marketing and advertisement? Matteo Sardi can answer this question. He is Head of Communication at Ferrari and has furthermore created the fashion company WonderMode.com. At the NEXT Conference Matteo is going to provide exciting stories about marketing in a world full of gigantic brands. It will be a wild game, where traditional PR strategies meet the latest of psychoanalytic methods in an attempt to understand how the so-called modern consumer actually navigate.